Krizz Kaliko gives Fuse TV a Midwestern welcome by giving them a tour around Kansas City. Alongside Tech N9ne stands another Kansas City giant, Krizz Kaliko. In honor of the upcoming release of his new album, GO, The Genius takes Fuse TV on a tour around his city, showing local establishments that are extra important to him. Starting in the Strange Music Headquarters and moving to his elementary school, his first job, and his church, Kaliko reminisces on his childhood. He tells stories of his first performance, experiencing a shooting, and his church experiences with his mother, a primary supporter of his musical career. Though his passion led him to perform on stages across the world, he never forgets where he came from. 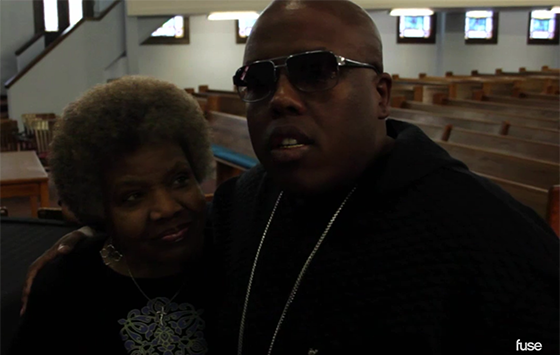 What did you learn from Krizz Kaliko’s Kansas City tour?